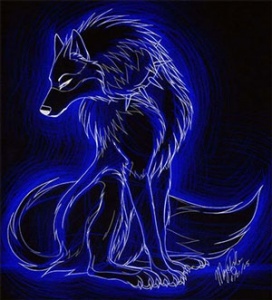 Blackwolf reads Tarot and consults as an astrologer for natal chart interpretation. It is all about you, the querent!!! My approach to Tarot and natal astrology follows the teachings of Carl Jung, the father of analytical psychology. As an oracle and card reader, my goal is to help you find that unconscious part of yourself that you never knew existed. It is a paradox of our “technological and high-speed communication” society that many of us end up muted and compartmentalized in the many different segments of society. We end up starved for meaningful communication with our peers and a realization that we are not quite “whole”. We desperately end up seeking an expression of our own individualism. A good oracle will open up channels of communication for the querent and allow you to experience new ideas and possibilities. It is thru new ways of thinking and refreshing our outlook on life that we develop into a whole and balanced individual. Oh! Why the name “Black Wolf”? Well as an ambassador of the natural world wolves are just “cool”. “Black Wolf” was also a character in the a 1977 animated science fiction/fantasy film “Wizards” by Ralph Bakshi. I love good science fiction and fantasy stories which can illuminate issues in our own society and lives by re-telling those truths to us in an oblique manner. I am proud to be a Renaissance Festival partner with the AOA. You can find me at the AOA booth, #333. The Kansas City Renaissance Festival usually runs from September 1st to October 15th of each year. Please check the Renaissance Festival staffing schedule to see the exact days that I will be there. or send a text message to 816-694-3439.